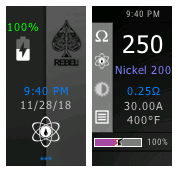 A theme Inspired by the Ally printing options for Rebel Vape. Dark grey and black theme with splashes of color. 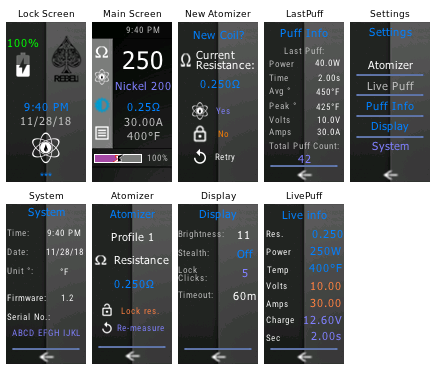 All the information and options are accessible through the Home Screen. Minimalistic menu screens that are easy to read and navigate. Replay enabled.